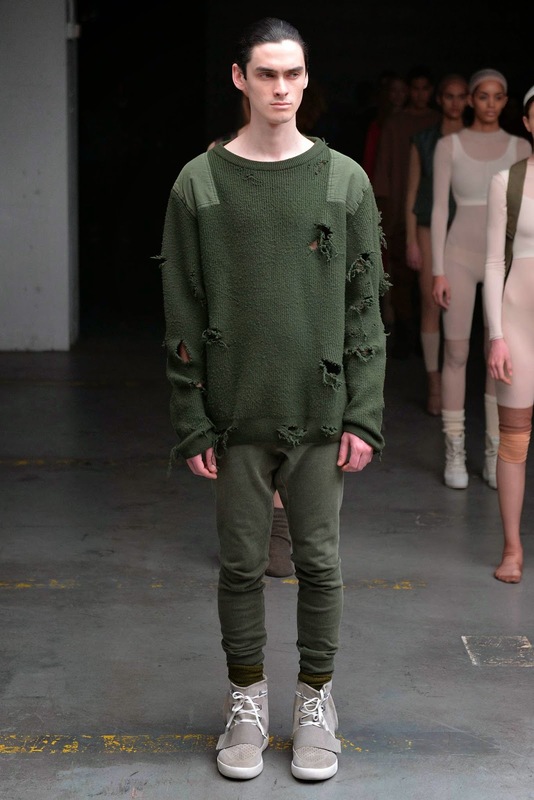 Adidas Originals x Kanye West Fall 2015 - a polarizing collection. You either love it or hate it. I love it! You know you're in for one one heck of a show when seated front row are Anna Wintour, Jay Z, Queen Bey, Rihanna, Kim K and P Diddy. 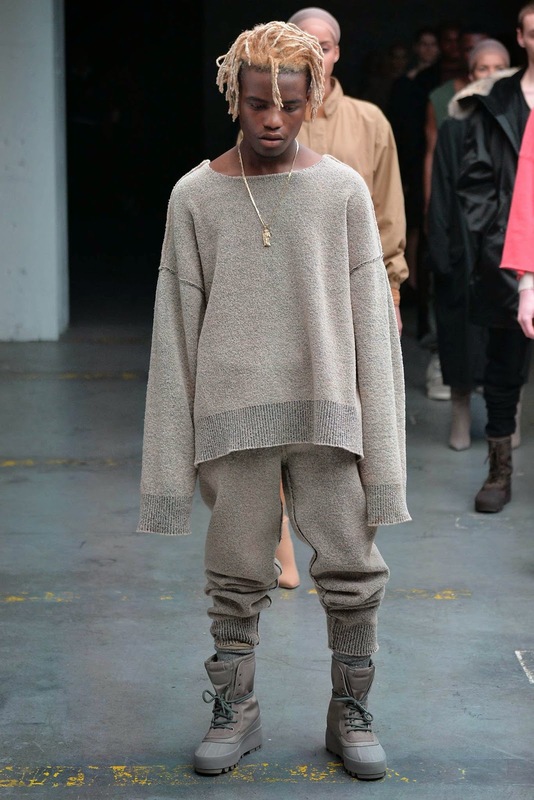 After watching the show I was reassured of the creative genius that Kanye boasts (or ~boosts). The simplicity and rawness of the show is what captured me. The line was showcased so creatively, with the detail of an individual piece being the highlight of each look. 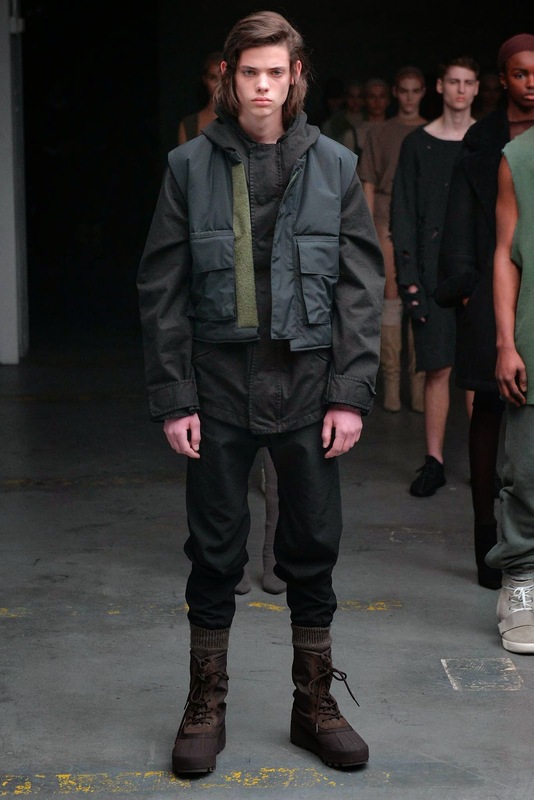 The theme was utility with parkas, utility vests, industrial backpacks and inspired work boots. The collection touched on the aviation trend as well with jackets falling under the same overall muted colour story, though punches of bright were incorporated in all the right places. The styling was so minimalistic which is what kept your focus as a spectator right where it needed to be. Of course it wouldn't be Kanye's style to miss an opportunity to promote his other projects as well. Luckily, it flowed flawlessly with his presentation. The debut of his track “Wolves” featuring Sia and Vic Mensa tied the show together perfectly. My top 8 looks after the jump!